Maybe you travel a lot for work. Maybe you just like to divide your time between the gym and your own fitness studio at home. Whatever your reasons for seeking multi-purpose, multi-location exercises, there are plenty of options for you. Here are just a few suggestions for building a fitness routine that will work anywhere! The benefits of squats are far-reaching. Their most obvious results are in the legs, of course; they strengthen everything from your hamstrings to your quadriceps. However, they also have full-body benefits in the form of a stronger core and widespread muscle health. Improving any area of your body improves the entire thing, and nothing proves this better than squats. 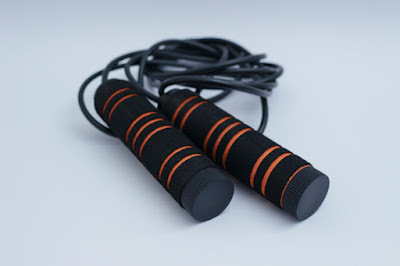 The great thing about jumping rope is that it can be done with a $1 rope or cord from the dollar store. Even if you're stuck in a hotel a thousand miles from home, you can still do your jump rope routine. It's good for you, too; it's aerobic exercise that gets your heart pumping and your muscles contracting. If you count your jumps, it can also help you sharpen your mental focus through multitasking. Pull-ups will require a pull-up bar, but they're surprisingly cheap and portable. You can stick one in your bag without taking up much space at all. As for their fitness benefits, you can strengthen your biceps, triceps and everything in between with a repeated number of pull-ups. It all depends on the way that you pull yourself up and the angle of your repeated movements. Resistance bands are all the rage in gyms and exercise classes, but don't hold their trendiness against them. They're genuinely useful for building strength, endurance and core stability. Best of all, they can be incorporated into many of your existing exercises, so whether you're working on your arms, legs, shoulders, or chest, your resistance band can help you turn your workout into a real challenge. These are just a few exercises that you can do anywhere and anytime. As you can see, none of them require owning fancy equipment or hauling lots of luggage around. Some can be done on their own, and others will need a few tools that you probably have lying around the house, but all of them can help you build a better body!